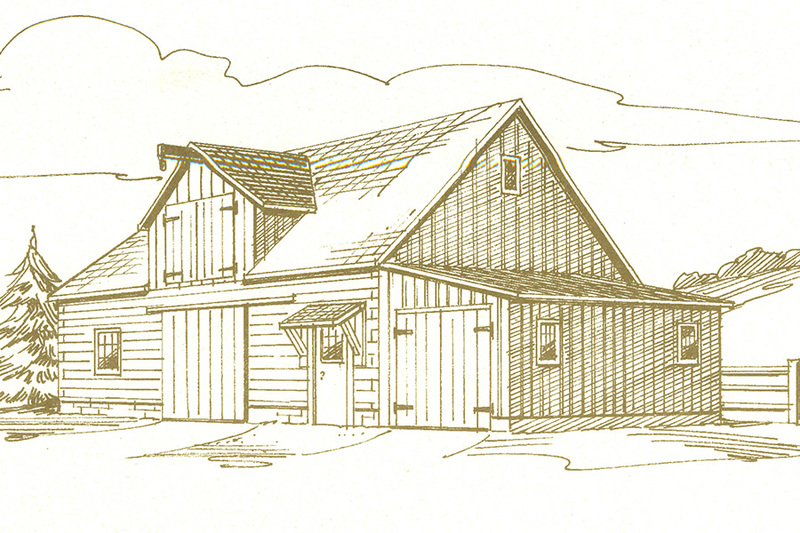 The Vermont is a classic replica of the typical barn found in New England in the early 1900's. It features 6x12 tongue-and-groove square logs with chinking and authentic board-and-batten gables. The 1080 sq. 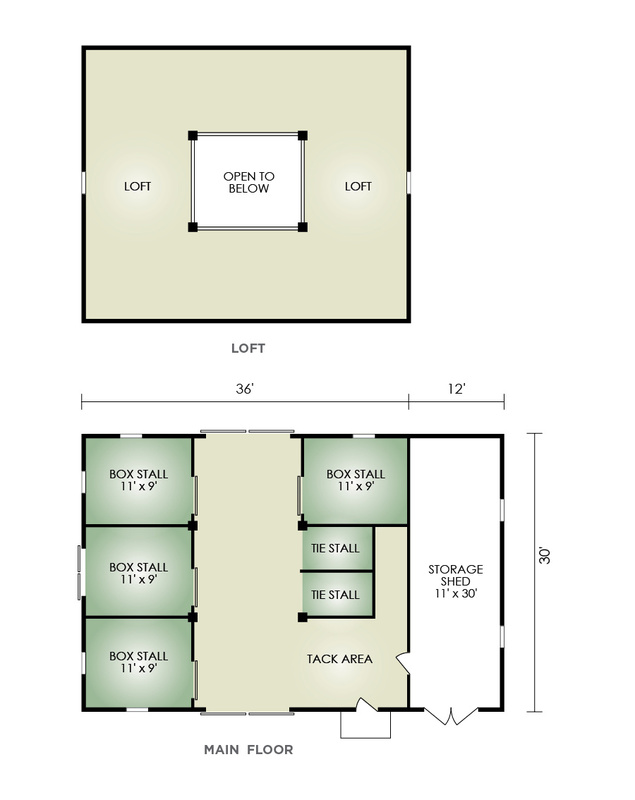 ft. main floor includes a spacious 12x30 centeral area, 4 box stalls, 2 tie stalls and tack area. The loft offers an additional 960 sq. ft. of floor space. The adjoining storage shed is ideal for wagons, carriages and such.